IPL 2018 RCB vs CSK is the 24th of 60 games to be played on Wednesday, April 25. The Royal Challengers Bangalore vs Chennai Super Kings live streaming will be available online on Hotstar and Jio TV app. 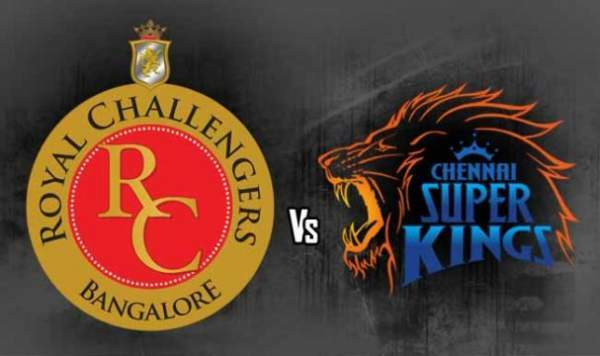 You can watch CSK vs RCB live cricket match on tv via telecast on Star Sports network. Today’s IPL T20 match will start at 8 pm IST with the toss being done at 7:30 pm IST. There will be a gap of 30 minutes between the two events for teams to prepare. If you can access the television, then you can switch to Star Sports Select 1 / HD and Star Sports 1 / HD for English commentary. If you prefer watching the match in Hindi, then you can switch to Star Sports 1 Hindi / HD. However, if you don’t have the luxury for TV, by any chance, then you can catch it online via official streaming partners’ portals. Hotstar, Jio, and AirTel are the ones. All of the three have their apps for both Android and iOS. Also, Hotstar.com streams all IPL matches. Before this match, the IPL 2018 standings table puts Chennai at second spot with four wins in five matches and 8 points. While, Bangalore is stuck at number 6 with two wins in five games played so far. Super Kings have won twice as many games as Royal Challengers have won so far. So, it makes them favorites for today’s encounter. The M Chinnaswamy cricket stadium is the battleground for today’s battle in which the sides led by Virat Kohli and MS Dhoni will encounter each other. It’s located in Bengaluru. Both MS and Virat have been the captain of India national cricket team and are incredible in their own ways. However, the team of former skipper is leading so far and better better. It’s not going to be just a game between the two teams, rather it would be a clash between the India’s two finest cricket brains. Being a home match for RCB, Kohli will be at the centre stage as the home ground will cherish and want him to win the game today. But, there would be equal number of Dhoni’s fans waiting for his trademark sixes. In the last eight outings, Dhoni has scored 309 runs at an average of 61.80 and strike rate of 177.58. While, Kohli has scored more runs against CSK than any other franchise in the tournament, as per the historical record. Also, Virat is 18 runs away from 2000 runs at Chinnaswamy Stadium.